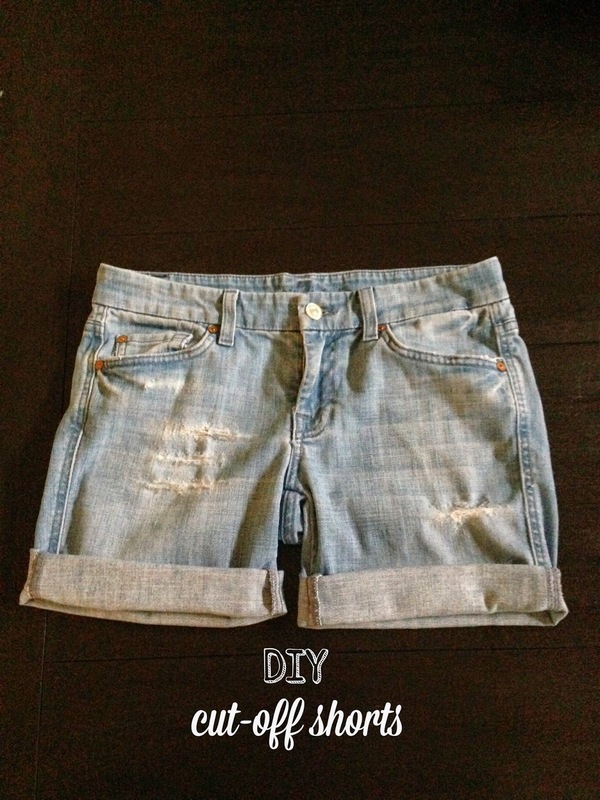 Life After Baseball: Try It Tuesday...DIY cut-off denim shorts! 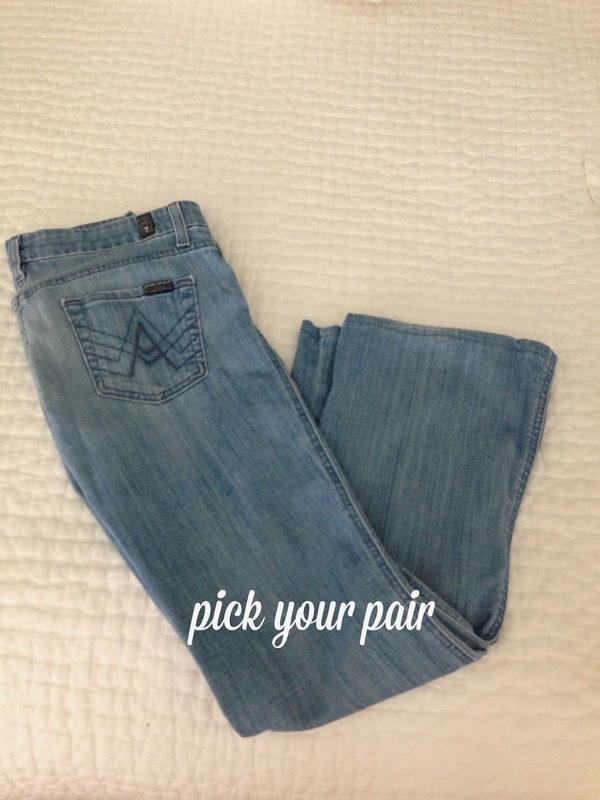 Stop, drop everything and go grab a pair of old jeans hiding in the back of your closet that you never wear. Cut-off denim shorts are everywhere and a classic for summer in any length you choose. I was inspired by these shorts this past weekend to make my own cut-offs. Paying $179 for distressed shorts is a hard pill to swallow don't ya think? I know there's a million how to tutorials out there, but I just flew by the seat of my pants and this is what I came up with. Hopefully I will have inspired you (and saved you a little $) to make your own. 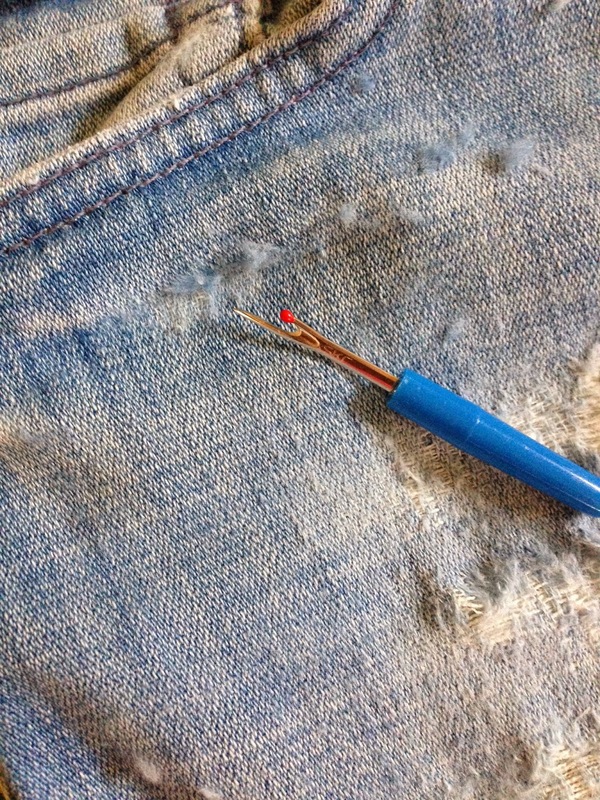 I took the inseam measurement off the pair of my "inspiration" shorts. 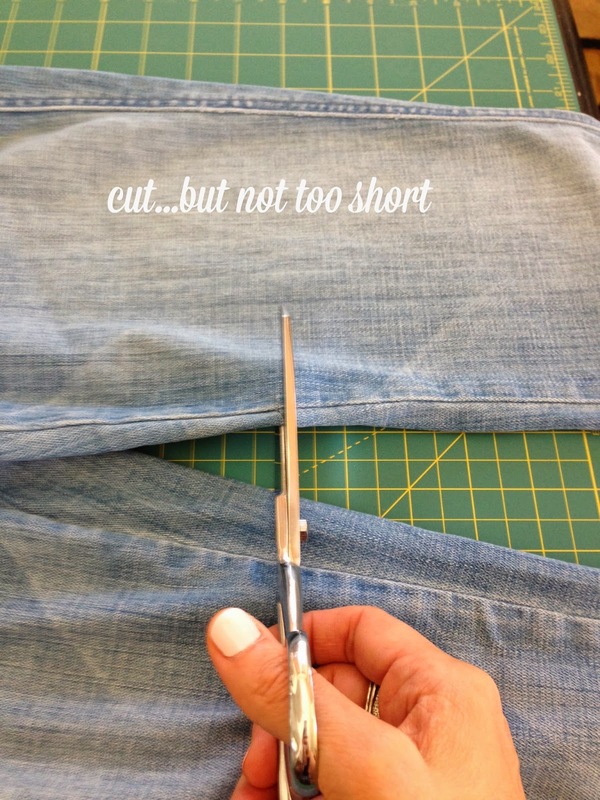 Try them on and make sure it is the length you want. Remember you can always go shorter so cut accordingly! Grab your supplies and be sure to use a heavier grit sandpaper. I'm not sure what grit mine is since I already had it from previous projects. Decide where you want your holes and rub your sanding block back and forth until you get the look you want. 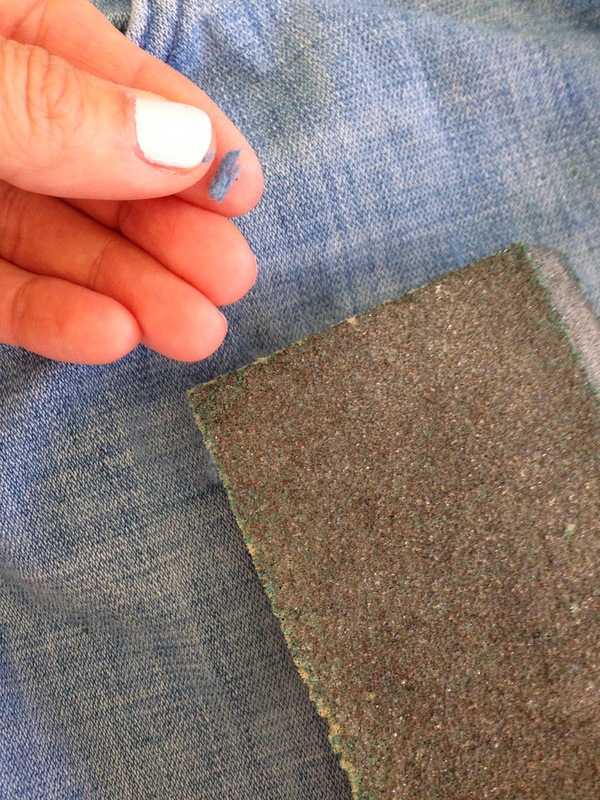 This is the fuzz you will get while sanding your denim! 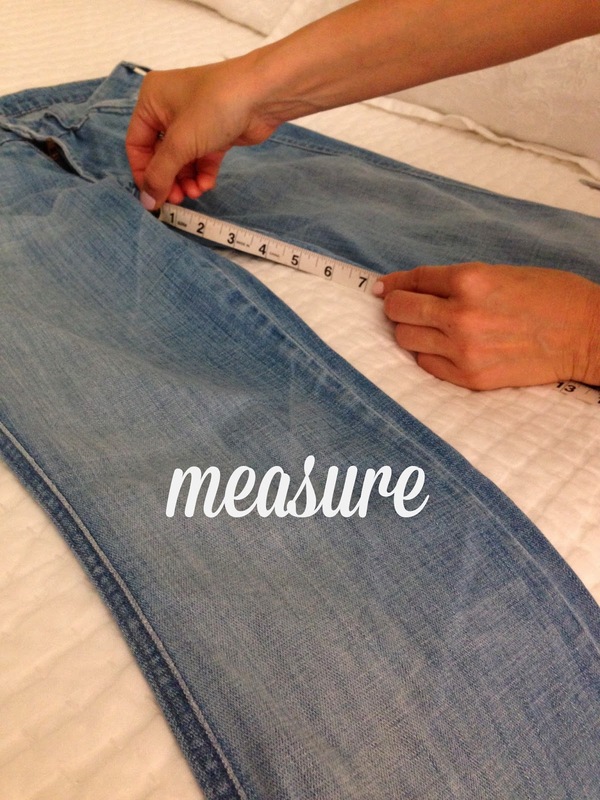 Be patient...the heavier your jeans the harder it will be. 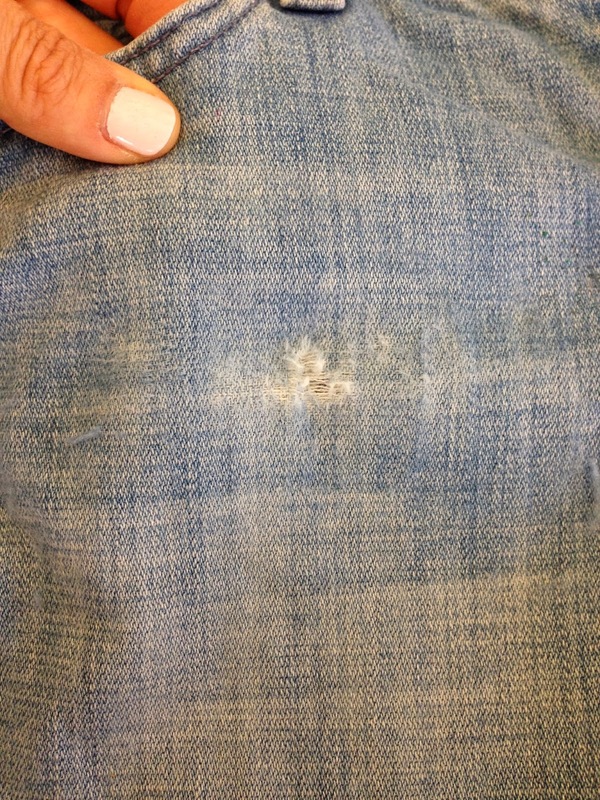 My jeans were on the thinner side so it made distressing a little easier. 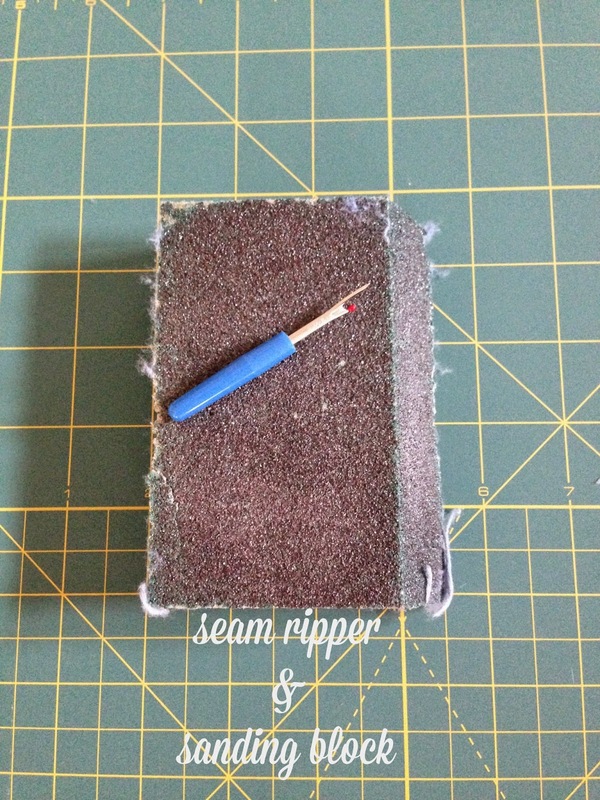 After using my sanding block I used a seam ripper to help with the distressing. Use a back and forth motion with this as well. After you have finished, be sure to wash and dry to get the frayed look. I didn't want to commit to a length so I didn't sew the rolls or use fabric glue. I rolled these twice to get the length I was looking for. Super easy and didn't cost a penny! OMG this is perfect! I've been thinking about doing this, but haven't yet so now I will! My solution is always just to wack them off, with no thought behind it. They go OOPS! LOL Thanks for this, Char good one. I love the way they turned out. I need to show this to my daughter. Thanks for sharing. Thank you Lisa, Tracey & Brandi for the sweet comments. I had fun doing this project, plus now they will actually get worn again instead of collecting dust in the back of my closet!